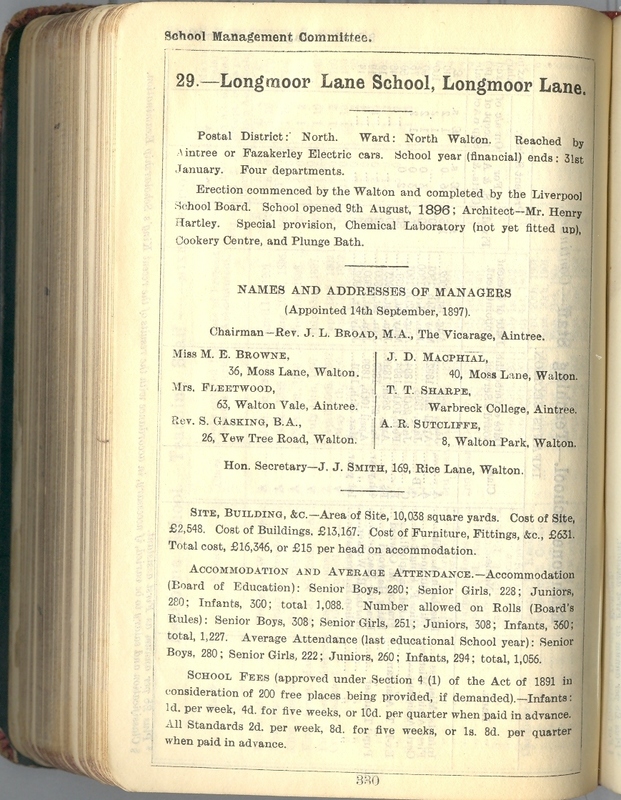 Page (left) from the 1903 Education Handbook (list of staff below). There were only 987 pupils in 1900 - quite small for the time - but by 1903 attendance had risen to 1,056. Longmoor is now one of Liverpool’s largest schools, after separate infant and junior schools amalgamated into a brand new building in about 2002. The school website has pictures of the original building and interior shots.